Nearly half of lamb losses are estimated to happen in the first two days of life, so management at this time is paramount. Georgina Croxford, Cargill technical sales manager, advises producers to run through a checklist of three Q’s to make sure they do everything possible to maximise flock productivity. “The survival rate of lambs is a useful indicator of the level of management of the ewe and neonatal lamb,” she says. 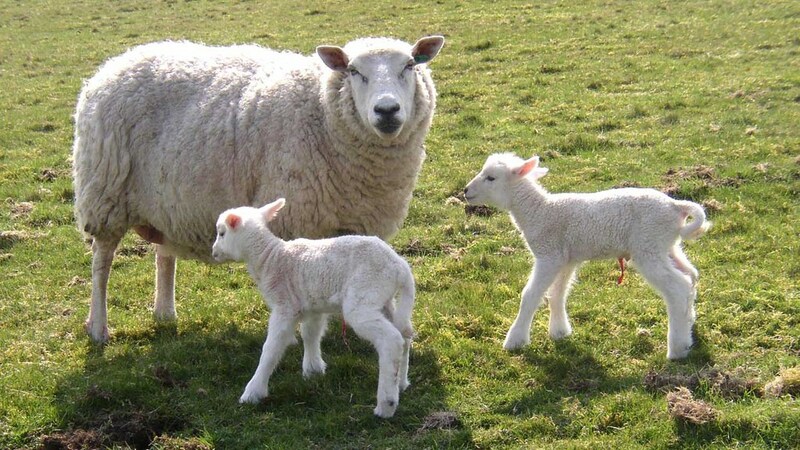 A survey conducted on 70 flocks in Wales found 49 per cent of total lambing losses occurred in the first 48 hours after birth. Ms Croxford highlights three golden Q’s to colostrum feeding: quality, quantity and quickly. “How much colostrum a lamb needs will depend on its size and this often goes with its status - if it’s a single, twin or triplet. “As a rule of thumb, lambs need 50ml per kg liveweight per feed every six hours for the first 24 hours. They should have taken 210ml/kg liveweight within the first 24 hours and this needs increasing by 20-30 per cent where lambs are exposed to extreme cold or wet conditions. The quality and yield of this colostrum will be dependent on the ewe’s diet in late pregnancy, her body condition at lambing, her parity and health status. “Lambs need high quality colostrum, ideally with 50g/litre or more of immunoglobulin-G. IgG content. This can be measured by using a colostrometer. Ms Croxford says the vital third ‘Q’ is quickly. “Speed is vital. It is essential a newborn lamb receives 3g of IgG as soon after birth as possible. “The highly permeable gut lining of the newborn lamb allows for large antibody molecules to be absorbed directly into the bloodstream in the first six hours after birth. “This permeability gradually reduces up until 12 hours after birth, after which antibodies cannot pass through the lining into the bloodstream. As well as providing antibodies needed to fight off infection, colostrum is a highly nutritious energy source which helps the lamb maintain body temperature and survive. “Hypothermia and starvation are two key causes of lamb losses - their large surface area to body weight ratio at birth makes them susceptible to heat loss. “Lambs born in a cold, wet, windy environment will lose heat far quicker than lambs born in a warm, dry, draft free one. Lambs which do not feed within the first few hours after birth will run out of energy reserves to keep warm and will die rapidly if there is no intervention. To maintain bodytemperature, a newborn lamb must produce as much heat as it is losing to the environment.